Calling Glory are an enigma. Hitting their stride and delivering to us explosive hit after explosive hit, including tracks such as “Don’t Give Up”, “Child Of Heaven”, “Teach Me To Love”, “Heartbeat”, “From Heaven To Earth” and “You Keep On”; we witnessed a blip on their otherwise near-perfect catalogue of melodies. “My Redeemer” is so CCM-ish, and it made me think of Kutless and how Dana Potvin sounds so much like Jon Micah Sumrall vocally. As I rated that song quite low (and you can read that review right here! ), Calling Glory soldiered on, and has since released two more singles. “Love Steps In” and “Holding On To Me” both released late last year, yet comparisons to Kutless and the overly-CCM nature of these tracks have caused me to wonder. Are Calling Glory’s best days behind them? So the band are an enigma in that I know they can do better- but as it stands right now, both of their two latest singles find me wanting more from the band musically and lyrically. “Love Steps In” is a carbon copy of any worship song from Kutless. Call me harsh, but that’s what I feel and experience after listening to this track. I mean, if it was on Alpha / Omega from Kutless in 2017, it’d fit. The sad thing is that we’ve heard better things from Calling Glory. Still, lyrically the song does pack a punch, as we hear Dana passionately cry out ‘…It is always holding me, gives me faith when I can’t believe, sees the things that I do not see, bigger than my fear, a shield when I’m in fight, keeps me safe in the darkest night, reminds me the sun will rise, and I raise my sorrow, when Your love steps in…’; and perhaps the song will grow on my in the near future. 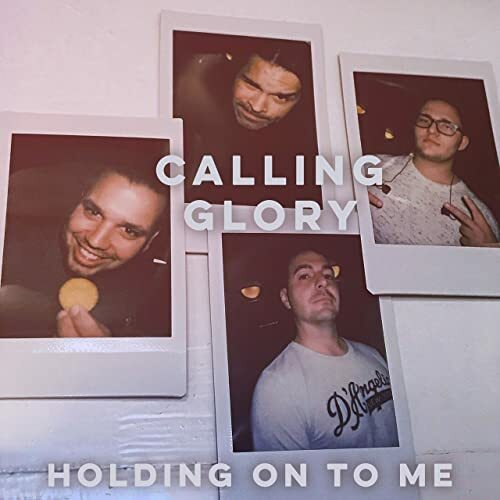 “Holding On To Me” is slightly more catchy and musically a bit more daring, with a pulsating EDM backdrop and maybe a bit more of a radio presence- yet my enjoyability of this track compared to “Love Steps In” is only a slight increase. It’s still like Kutless (not a bad thing, but overall frustrating! ), and I’m still hanging onto the time in the future when the guys will completely surprise me in a good way. These two songs aren’t it. So sorry guys. After listening to these thoughtful yet musically safe tracks, one could think that Calling Glory are falling into a bit of a pattern. One bad song followed by a few ok ones- and then settling into mediocrity. However no matter how low these guys go, I still have hope that they can record much more confronting and comforting music than they have right now- because I have heard it in their earlier material. Case in point are “You Keep On”, “Child Of Heaven” and “Don’t Give Up”. Ironically like the song, I won’t up on these guys, despite the blemishes of these past two songs. You shouldn’t either. 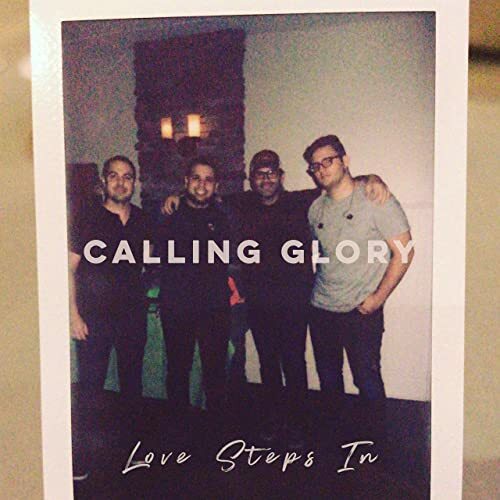 Calling Glory as a band are solid and inspiring, however “Love Steps In” and “Holding On To Me” are underwhelming. Until the next single/EP/album, I suggest listening to other songs in their discography.